Did I tell you that I am taking online classes? Yes, I am. You see about 10 years ago when I was supposed to be going to University and working towards a degree, I decided that school wasn't for me. I took some classes here and there, and in fact met my husband in a class about 8.5 years ago. However, it wasn't what I wanted to pursue. I got lazy, and left behind my education. Well, a few years ago, I decided I needed to do make education a priority. I want my boys to know how important education is, and what better way to do that then to show them? I started taking classes online, and now I am taking my last class before I earn my Associates degree. It is a math class, and even though I have come to appreciate math a lot more, it still takes a lot of work for me to get good grades. So why am I mentioning this? Well, my friends, I'll tell you. I'm going on a trip. A magical trip with some friends to the City of Lights. One of my friends currently lives there, and she has kindly opened her home to us. Which brings me to math. Who wants to do schoolwork on a vacation to one of the most incredible cities in the world? Certainly not me, so I have been doubling my work so that I will not have to, which means hours and hours of equations and fractions and calculations. I did take a few breaks here and there, let's be honest, I can only take so much. 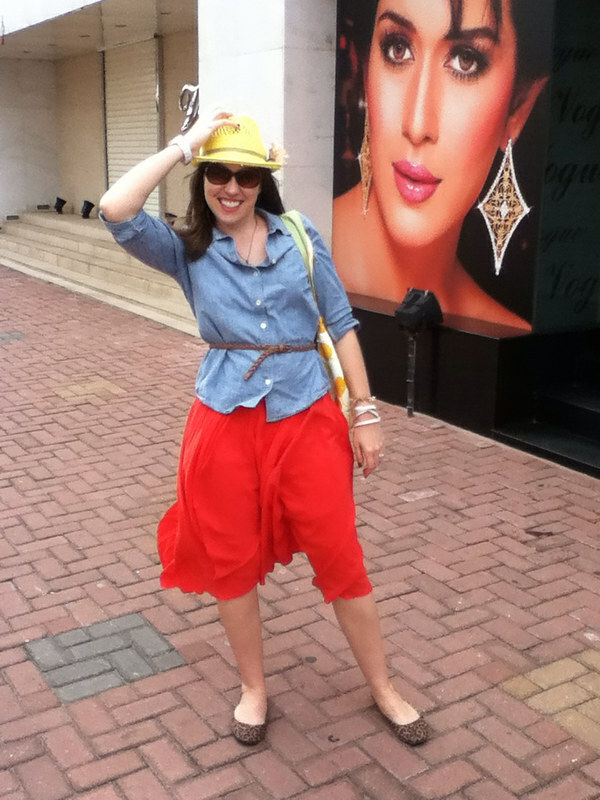 I must confess that most of the week was spent in lounging clothes with only a few actual outfits thrown in. So I give you my week in pictures. 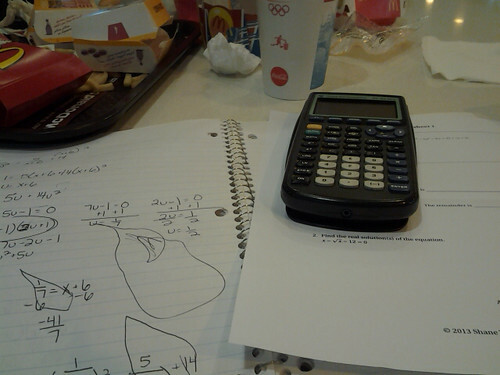 One day I needed some extra study time, so I took the kids to McDonalds play place. Win-Win. 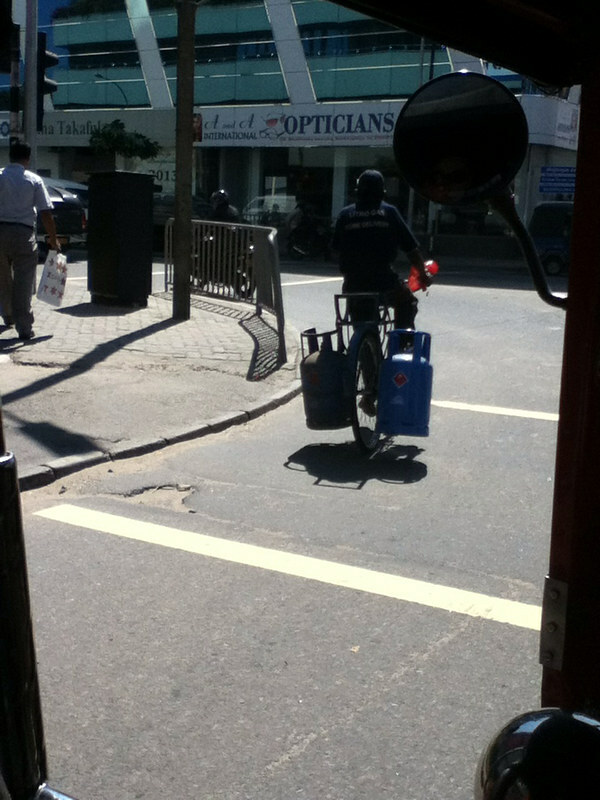 This guy is carrying propane. On his bike. In crazy Colombo traffic. 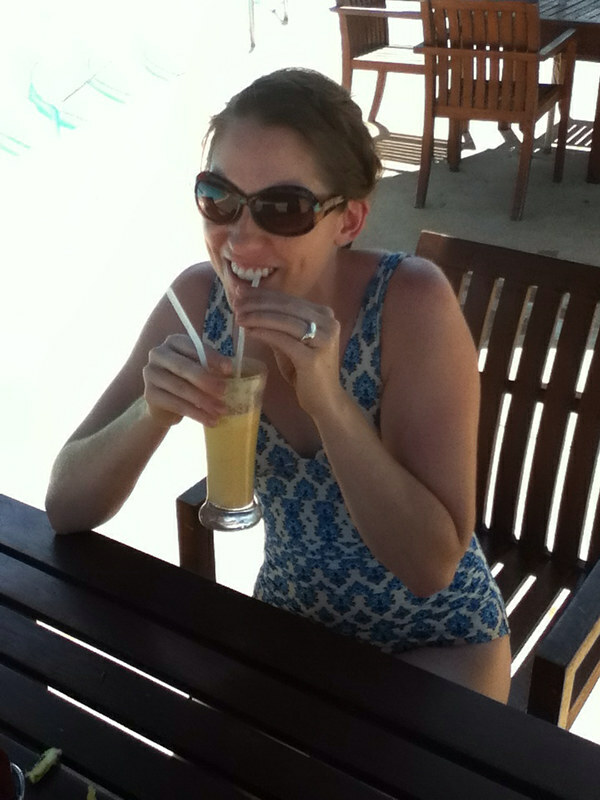 We took a little break to go to the pool, to enjoy some sun and a virgin piña colada. Oh, and I love this swimsuit, from JCrew. And for those of you who follow me on Instagram, I went with the belt. Amazon sells Trader Joes items, and I found this treasure. So much better than Nutella, IMHO. 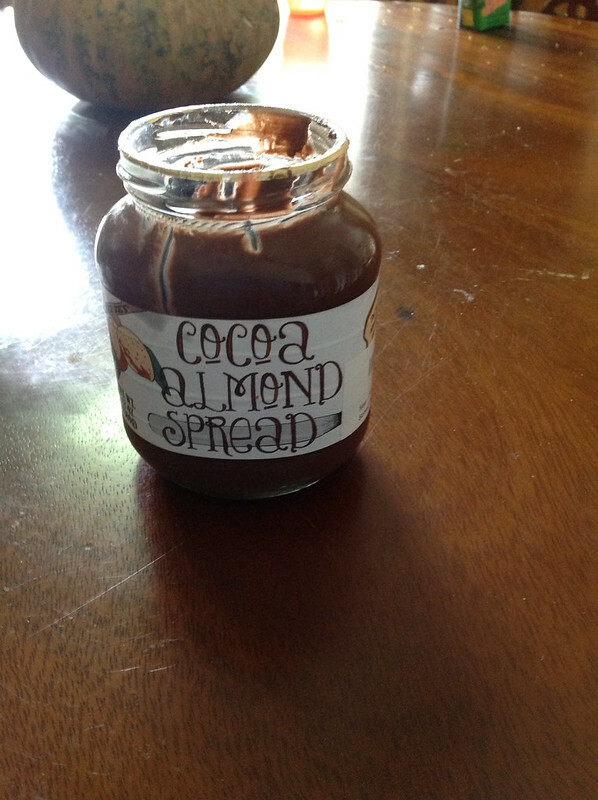 I like to spread this on a banana for dessert. So yummy. For my confession about not loving Nutella, see this.